A Conservative MP tried to resuscitate the police officer who died from stab wounds during in the Westminster terrorist attack. 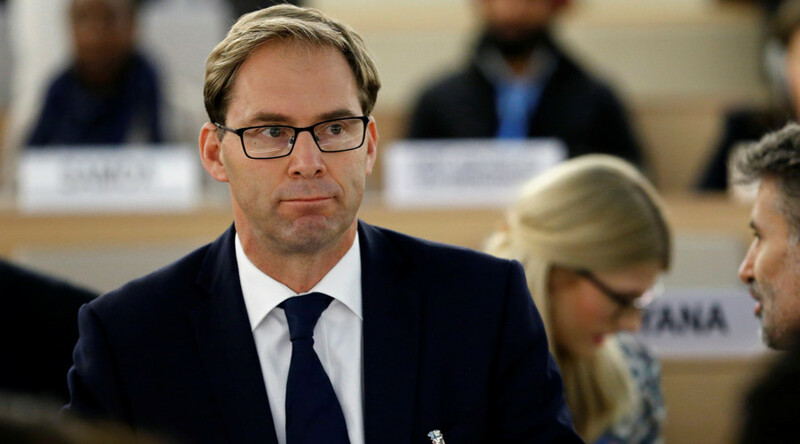 Tobias Ellwood, a former soldier, was described as running in the “opposite direction to everyone else” and towards the injured officer, later attempting to give the man mouth-to-mouth intervention. He also tried to stem the blood flowing from the seriously wounded man. He waited with the police officer until the arrival of the air ambulance. The Foreign Office minister was later pictured with blood smeared on his face and hands, talking to police and Westminster officials. “[He] tried to give mouth to mouth and stem blood flow from multiple stab wounds to the officer until the chopper and medics arrived,” a source told the Telegraph. Ellwood, who has been an MP for Bournemouth East since 2005, has been vocal on his opposition to British military intervention in Syria. Ellwood has also talked publicly about losing his brother Jon in the Bali bombings of October 2002.